When it comes to tipping wedding vendors, know that it’s NOT mandatory- it’s more so a welcome and appreciated gesture for a job well done. If the client feels like the band or DJ has gone above and beyond what is required of them. As wedding vendors, we are really in the business of service- it’s our job! People shouldn’t necessarily be rewarded extra for doing their job. Rather they should be rewarded for excelling at their job. Also, odds are you’re paying your vendors already and probably paying them pretty well! Most won’t be working for minimum wage, and pretty much 0% of them will be paid like the restaurant industry, where unfortunately a server’s livelihood are at the mercy of their tables rather than their employer. So don’t feel like you have to give a tip to your DJ or band. We never go into an event expecting one- it’s rather a pleasant surprise at the end of the night if it happens. A bonus for a job well done! NOTE: SOME vendors may tack on a mandatory gratuity in their contracts. Definitely find out about this as your read over you’re signing your contracts. WHAT ARE SOME REASONS FOR TIPPING? As mentioned above, in our opinion, you should tip your band/DJ (vendor) when you feel like they’ve done a really good job- when they’ve added value to your wedding or special event. Maybe they showed up early, or they were very nice to you and your guests. Maybe they were extremely professional, kept the dance floor pretty full, stayed a little longer than scheduled, and most importantly made sure your guests had a great time! That would be a situation where you would probably consider providing a tip- kind of a, “Thank you so much for adding value to my evening, and making sure all my friends and family had fun” kinda thing. Don’t tip because you feel like you ‘should’- again, we are getting paid well to provide a service for you. If you DO feel compelled to provide a tip for any of your vendors, there are a few guidelines that can help you decide how much. In the restaurant industry, 18-20% is common for a tip. The wedding industry also has its recommended amounts. For a DJ, a common tip is about $100-150, or about 13-15% of their payment. If an Uptown Down DJ gets that, they’re flying high and feeling good for the day! To reiterate the previous section, some good reasons to tip a DJ would be if they have been very kind and communicative with you during the time leading up to your wedding, they arrived at the event in a timely manner and got everything set up and working quickly, and you got the impression that they were there to make you happy and give you the best service possible. Think ‘above and beyond’. If you hire a wedding band, a common tip is $25-50 per player for the evening. Depending on how big of a band you hired, that can add up quickly, so don’t feel pressured to go above that unless you have the desire/budget. Again, most musicians I know don’t play for the tip- they’re already getting paid. It’s more a pleasant surprise at the end of the night to get a little envelope with some cash in it, and signifies a job well done. 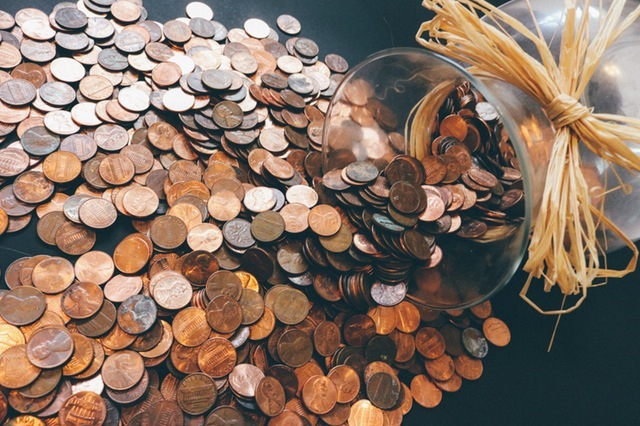 If your budget is squeezed a little too tight, or your wedding has drained a major portion of your bank account, there are also TONS of great alternatives to tipping. Consider leaving a 5-star review! In any small business, reviews are the currency of the Web. Good reviews are how we get judged and how we get hired. If you want to do something special for your vendor but don’t have the money, consider leaving 3-4 reviews for them in a few popular wedding vendor sites on the web. For us, a review on Google, Facebook, The Knot, and Wedding Wire is really worth more than a tip- those reviews help us to build our business, which will pay off way more than an extra $50 in our bank account. Even better, refer one of your friends/family members to the vendor for future use! It costs nothing to do that, but if it leads to an extra booking for the vendor, they’ll be ecstatic. Heck, they might even tip YOU! Finally, even something as small as a handwritten thank you note is more than enough to make a band or a DJ smile. So know that when dealing with most of your wedding vendors (especially bands and DJs), it is NOT expected to provide a tip- we are there to serve you, and want to do our best to make your day amazing no matter what! But if you could leave a review, THAT would be worth more than gold!